Our tiny little bunny basket is made from our cinnamon cookies, attached nose to tail and on a round cookie base....too sweet! This is small and adorable, standing at 1" high and 3 inches in diameter. Order them empty or filled with chocolate dragees or our karamels. 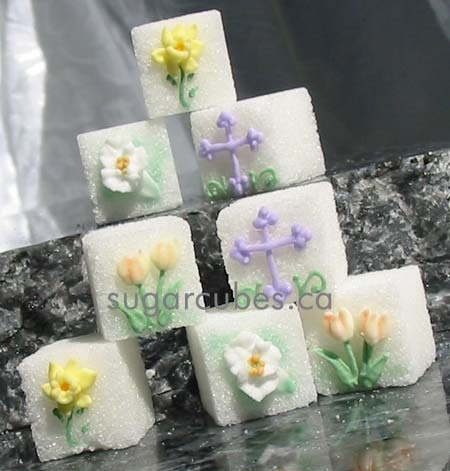 Daffodils, White Lily and Peachy Tulips and an optional Cross.